U.S. ambassadors should spend at least 25 percent of their time explaining American foreign policy to local audiences, a panel commissioned by the Bush administration recommends. In a report issued Tuesday, the panel said ambassadors do not spend enough time promoting American values and culture. Many foreign service officers lack language skills, the panel found. Ambassadors should enlist a "network of individuals interested in communicating positive concepts" to help influence public opinion abroad, the report said. "Private American citizens can supplement embassy efforts and serve as unofficial spokespersons," the report said, and U.S. officials should be more accessible to foreign journalists. "With improvements in public diplomacy America will be more secure," the commission chair, Barbara M. Barrett, a corporate executive, said at a news conference. "In recent years, foreign perception of the United States has declined," commission member Jay T. Snyder, an investment executive, said. "We need people speaking out," said Harold Pachos, a lawyer who was a White House assistant in President Lyndon Johnson's administration. Pachos said he has opposed the U.S. war in Iraq from the onset. But he said ambassadors had an obligation to explain U.S. policy to residents of the country in which they serve. Elizabeth Bagley, a lawyer who was U.S. ambassador to Portugal in the Clinton administration, said on Iraq and other volatile issues, American diplomats should present "both sides" — a suggestion not in the report. Nor did the commission adopt the view of Pachos that a White House post should be created to advise presidents on conveying U.S. policy abroad. 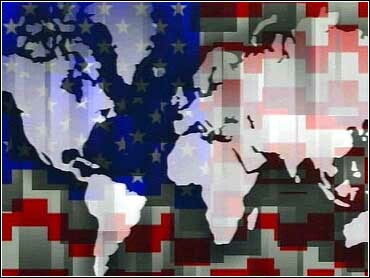 The report criticized U.S. ambassadors for being too hesitant to outline policy to foreign audiences. "Ambassadors are fearful of making errors or projecting a view inconsistent with State Department policy," the report said. "Caution is rewarded more frequently than boldness." Declaring "it takes only one misplaced image, word or phrase to confuse or cause offense," the panel said 21 percent of foreign service officers responsible for conducting "public diplomacy" do not have adequate knowledge of the local language. The State Department has been placing more emphasis on language proficiency, the report said, and foreign service officers usually receive at least six months' training. Training for other U.S. officials sent overseas is less extensive, the report said. "Without adequate knowledge of the local language, public affairs officers cannot build relationships with their designated publics," it said. The report also suggested officials make some adjustments in their terminology. For example, it said, U.S. officials often describe terrorists by words the terrorists themselves prefer, like "jihad" and "mujahadeen." "These implied martyrdom, holy war or other positive connotations," the report said. More recently, officials have started using terms with negative connotations, such as "evildoers."